We are available for custom architectural projects. Please inquire through our custom form. 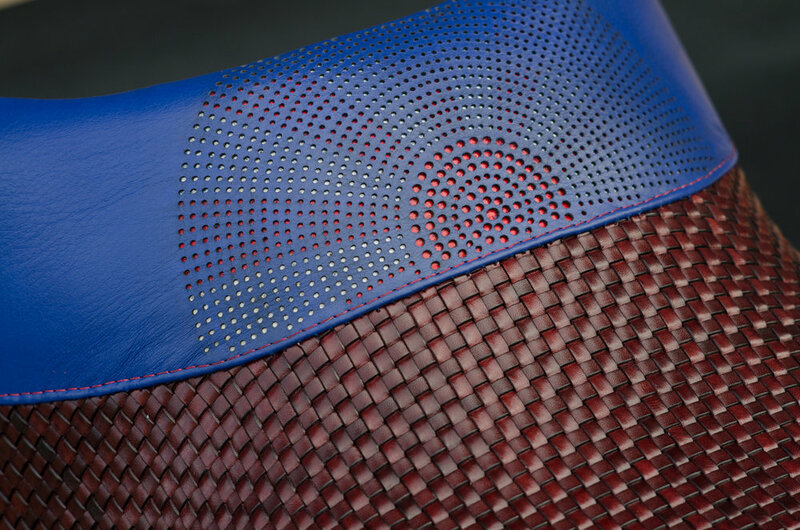 Have an old seat with a worn out cover? Don't throw it away, send it to us for a new life. 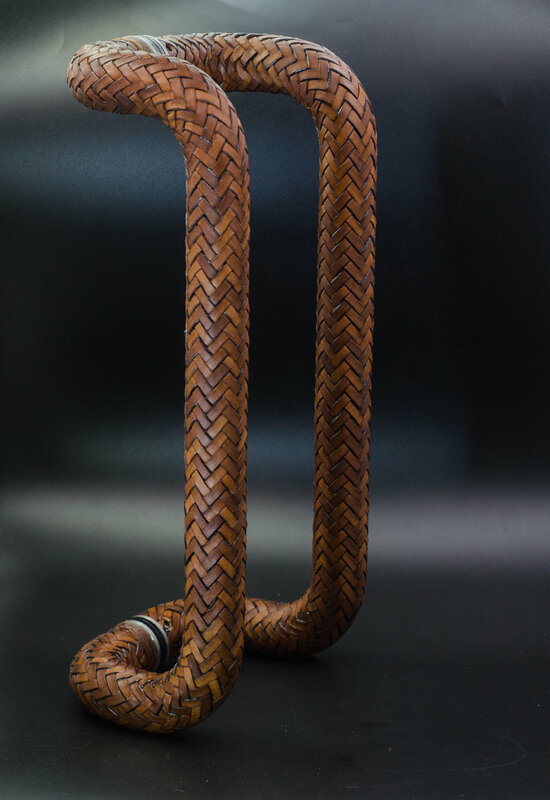 Select from any of our 11 durable stock leathers- which all have matching bar tape available. 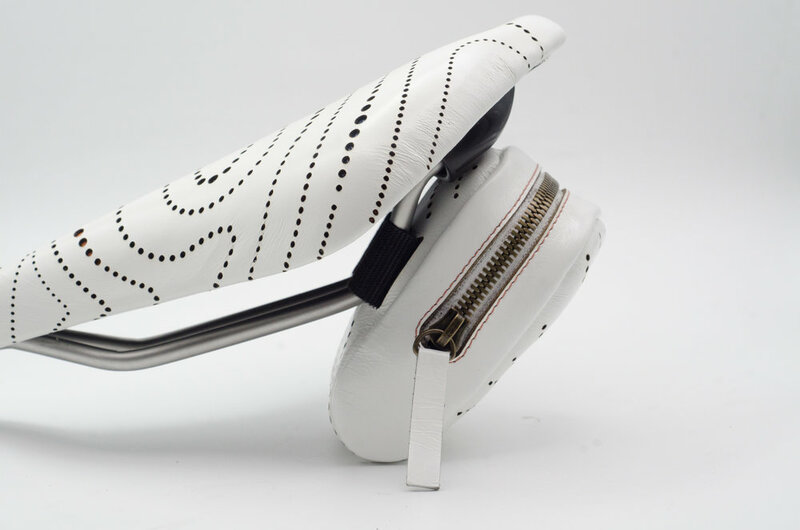 This custom white leather Donna is done with a wood grain pattern and alternating orange and blue underlay. This white leather will stay white and cleans easily. 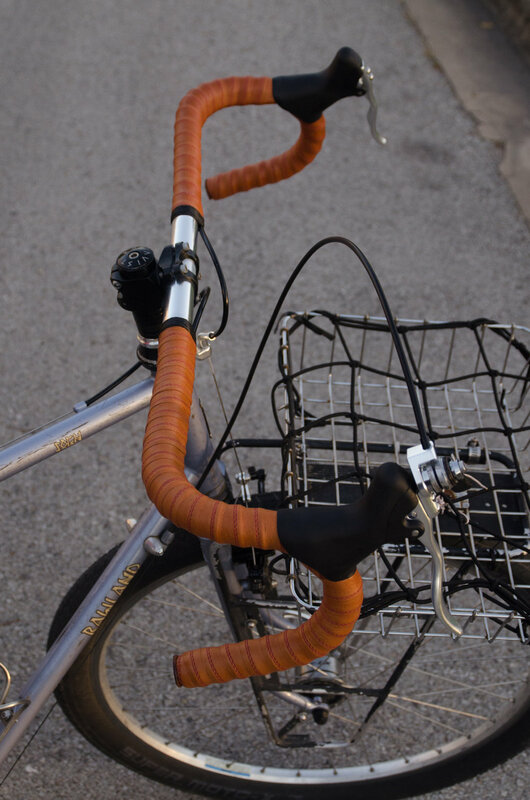 This plain recover on an SMP is matched with Bison leather bar tape. 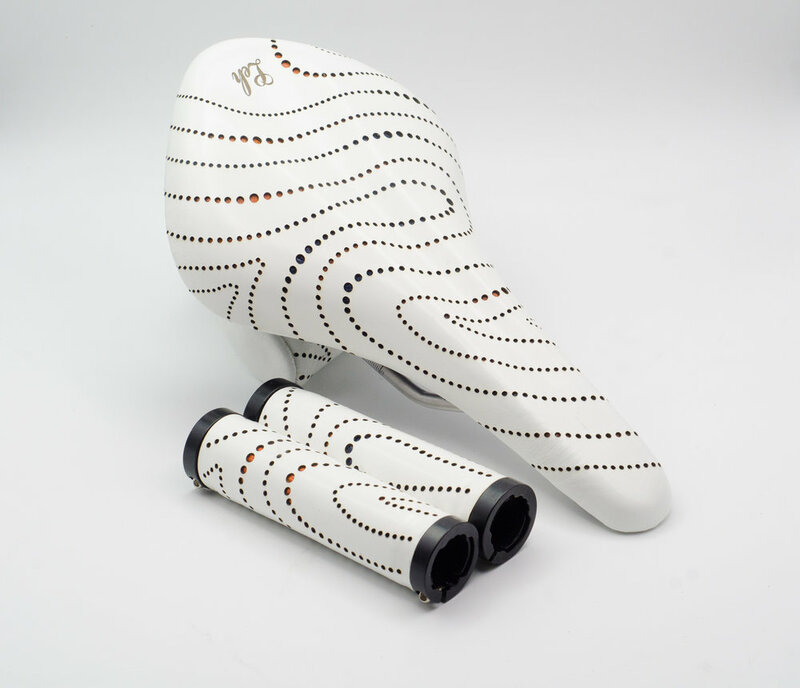 This is one of the most complicated and rewarding custom bicycle saddles we have made. It features a great Stingray hide and a custom etched and perforated skull with a pink underlay. 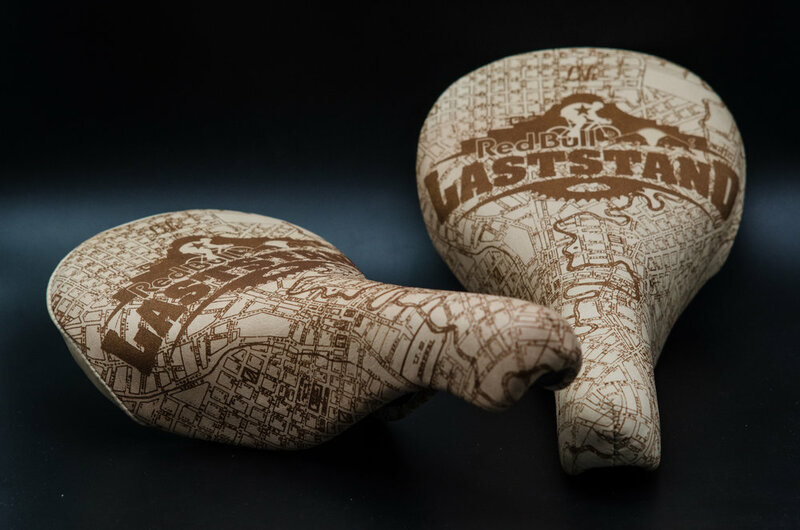 We made the seats as prizes for Red Bull's Last Stand. 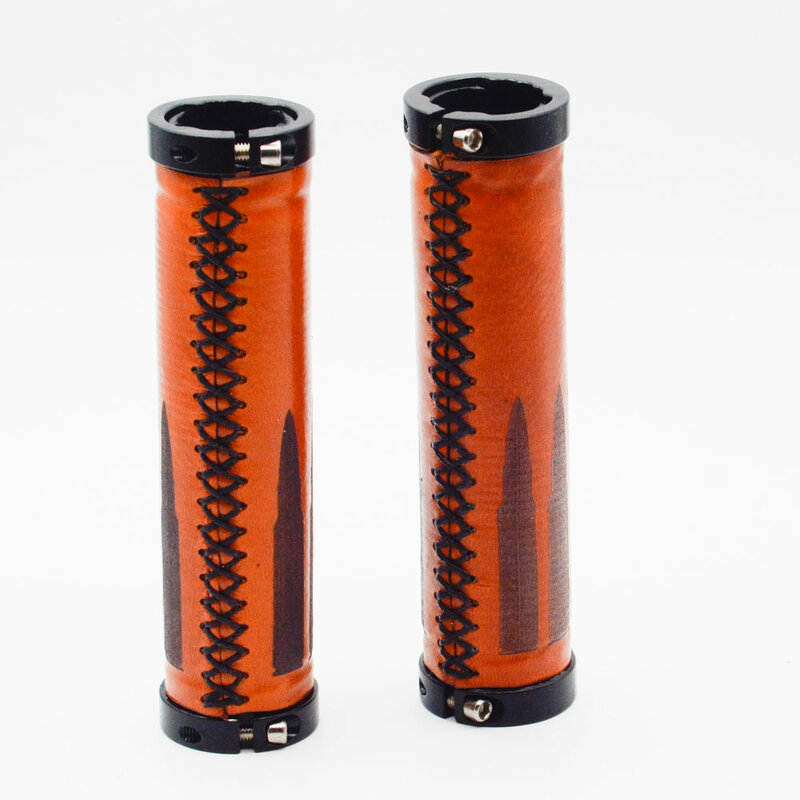 These are done in calfskin and feature a 1910 map of downtown San Antonio, where the race is held around The Alamo. One of our customers is on an epic adventure. 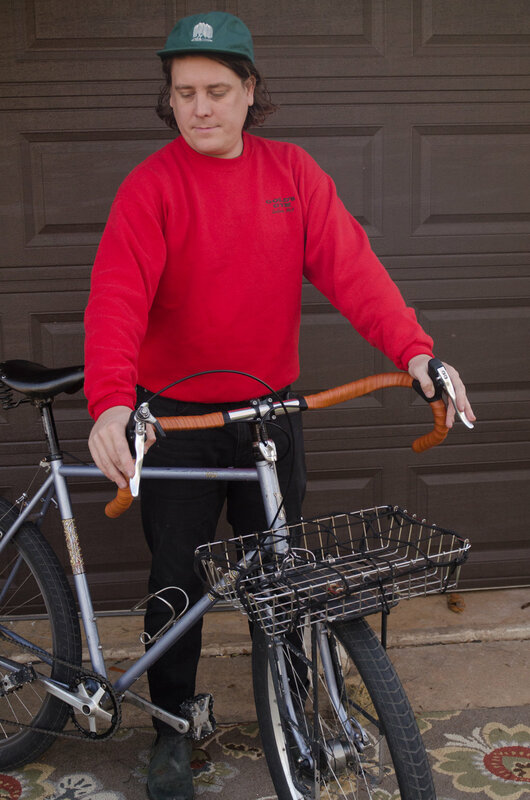 He's riding his bike from Alaska to Chile in a 4 part trip. 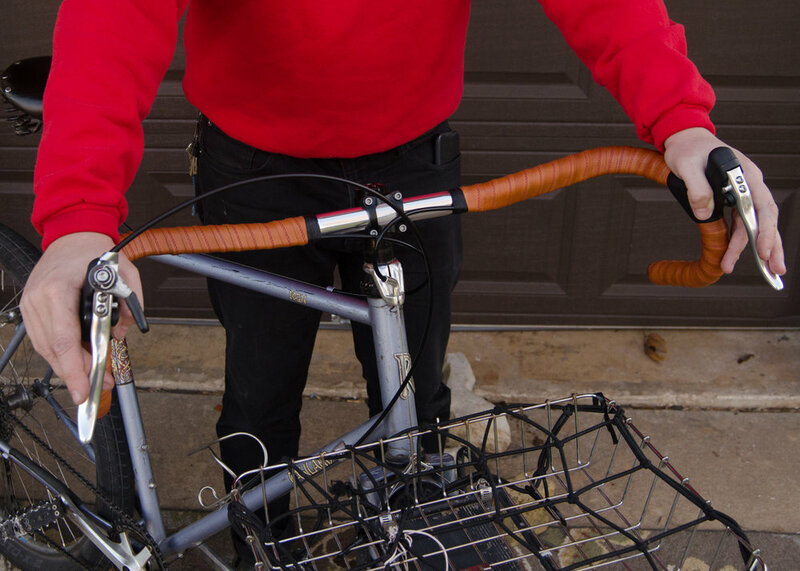 After 5 weeks on the road, he sent us a few pictures and a review of his saddle and tape. 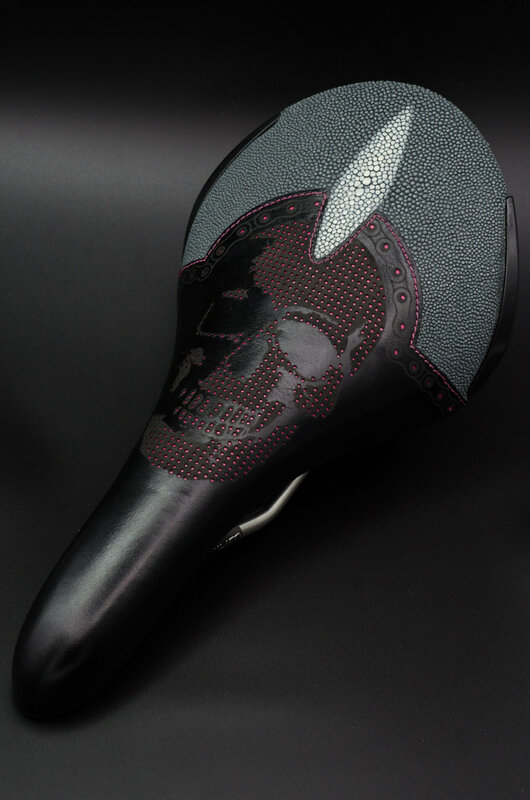 This custom stingray saddle features a skull accent on the nose.